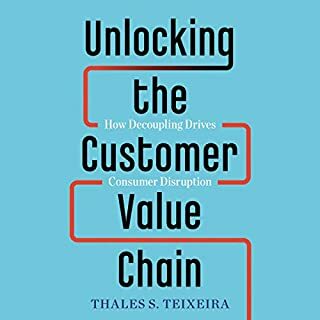 Based on six years of research, Harvard Business School Professor Thales Teixeira shows how and why industries are disrupted and what established companies can do to respond - as well as what potential start-ups must master if they hope to gain a competitive edge. Like "The Lean Startup"? You'll love this book! The myth of the lone creative genius is "wildly destructive" says Allen Gannett, not to put too fine a point on it. Our guest today talks about how we need to bring our ideas about inspiration out of the clouds and back to a much more encouraging and attainable reality. In a world of increasing automation, our creativity is our most valuable asset. The Execution Factor offers a straightforward approach to success. Perell flips the notion on its head that success is all about having a great idea, an advanced degree, or a high IQ. Because people around the world have achieved their dreams without any of those things. Perell believes the ability to execute is the difference between success and failure. The Execution Factor is for anyone looking to transform themselves from a “dreamer” to a “doer” and will make you feel like you have a success coach by your side. One of the best execution books I've read! Big data entrepreneur Allen Gannett overturns the mythology around creative genius and reveals the science and secrets behind achieving breakout commercial success in any field. We have been spoon-fed the notion that creativity is the province of genius - of those favored, brilliant few whose moments of insight arrive in unpredictable flashes of divine inspiration. And if we are not geniuses, we might as well pack it in and give up. Either we have that gift, or we don’t. But Allen shows that simply isn’t true. Recent research has shown that there is a predictable science behind achieving commercial success in any creative endeavor, from writing a popular novel to starting up a successful company to creating an effective marketing campaign. As the world’s most creative people have discovered, we are enticed by the novel and the familiar. By understanding the mechanics of what Gannett calls “the creative curve” - the point of optimal tension between the novel and the familiar - everyone can better engineer mainstream success. In a thoroughly entertaining book that describes the stories and insights of everyone from the Broadway team behind Dear Evan Hansen to the founder of Reddit, from the chief content officer of Netflix to Michelin star chefs, Gannett reveals the four laws of creative success and identifies the common patterns behind their achievements. Hearing Allen read this awesome book was even better than reading it. First, because you can hear the passion for the topic in every paragraph. And second, because I got the content twice which... well there are principles in this book that show why that's important for creativity. At any rate, love this book. Should be required reading for anyone with a job, creative or not. Audio books are a tricky thing. I've listened to some books with that have great content, but I didn't enjoy the voice reading them - and vice versa. This book delivers on all accounts. Read by the author, Allen Gannett, there is a wonderful authenticity. No affected accent or over-enunciation. Many books today suffer from a lot of opinion without any meat. This subject matter is so well researched that you feel as though Allen spend a lifetime learning about the topic. He dispels many of the common stories we have all heard through the years about how creative genius happens. I can't think of any point he makes in the book without backing it up with data. Once you get an appreciation for the fact that creative genius can be achieved by any one of us, he gets into the nuts and bolts of the process itself. I truly hope he does a follow-up book. I enjoyed this one start to finish - which is a rarity. I highly recommend The Creative Curve - particularly for marketers, product developers and business leaders. You won't regret the time spent on this gem. This book had great interviews with some really creative people and it really showed their thought process. I would 100% recommend this book to anyone who wants to create something and bring it to life. This is one of the best books that I've read. With precise formulaic way on how to implement creativity to your own brand, product and service. This book far exceeded my expectations! Allen makes it simple to understand a repeatable creative success model. These lessons can be translated into just about any landscape. I would recommend this book to anyone entering a creative field! This is a very, very good book. I was a little skeptical at first. I've read a ton of books on creativity, and most of them are just rehashed versions of other books. Most aren't very new (or very good). Not The Creative Curve. In this book, Gannett breathes new and exciting life into the topic of creativity. It is easily one of top 3 books I've read on the subject. Much of the reason for this lies in his all star cast of interviewees. Gannett somehow managed to talk to a ton of super interesting people like YouTube superstar Casey Neistat, the guys behind the music of La La Land, billionaire co-founder of the Carlyle Group David Rubenstein, and even the team who invents new Ben & Jerry's flavors. The interviews and anecdotes are really, really interesting (and insightful) to read. The book also dives deep into the science behind creativity. While in another author's hands, the science-heavy sections could feel clunky or boring, Gannett has managed to make them come alive. He has managed to translate the latest neuroscience into page-turning prose with ease. The central point of the book is, in my opinion, proved persuasively. 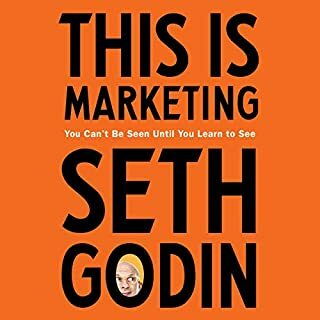 I dare you to listen to this book and not come out convinced that anyone can be a creative genius. I certainly didn't believe that before hitting play, but I do now! And the author's voice is pretty nice too! Usually I'm not huge on author's reading their own books, but Gannett does a very nice job of it. His voice is enjoyable to listen to! And he's quite funny (most of the time)! Overall, this book was great! 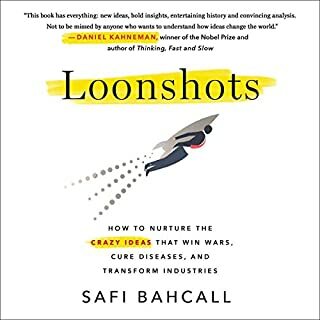 If you're interested in creativity, brain hacks, or (understandable) discussions of science, I suggest you pick up this book. Very insightful into the creative process and how to be more creative. Highly recommend! Thanks! It reminded me that the luckiest people are always those who work the hardest. I believe his information was well researched and well presented. Too often we fool ourselves into believing the greatest inventions in life, the best books, or the most successful entrepreneur's we're lucky, or they were at the right place at the right time. I appreciate a book that actually explains that nothing can replace hard work, dedication, conviction, and constantly reevaluating to improve. Although I still believe in inspiration, I believe that inspiration only comes after a lot of hard work. I highly recommend this book to anyone who has a dream. This book just really amazed me. I discovered it by seeing so many people on LinkedIn talking about how great it was and I basically shared one of the posts on my feed so I would remember to buy it. Let me tell you it was worth it. Allen really breaks down how creativity works and how striking with that idea at the right time is important as well. 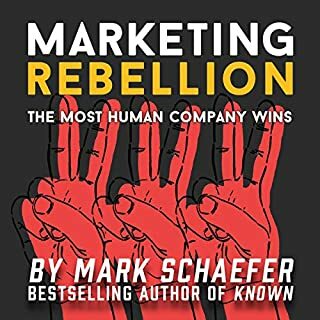 If you run a business and want to change things up you need to check into this book. 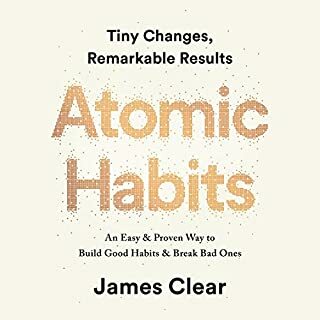 If your like me and you really just always wanted to break out of your shell and be more creative and change things up get this book. Allen narrates it himself and he did a fantastic job. I have listened to several hundred audiobooks and so I have had a few where I was wondering why someone else didn’t narrate it. This is not one of those books. I loved it! 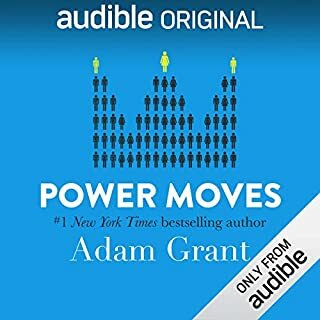 This is a phenomenal book with extremely valuable insight gathered during numerous interviews from high performing and successful individuals on what allowed them to tap into their inner creative genius. 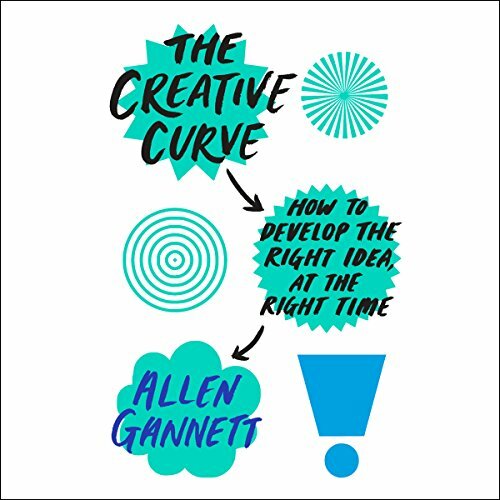 Allen's book shows that creative success is actually quite predictable and he breaks this success down into four laws. These 4 laws of creativity can be used by the reader to apply to their own lives and take their creative endeavors to the next level! This is a refreshing read that is gripping from start to finish because of Allen's clear and intriguing writing style and superstar cast of interviewees. This is a must read for anyone trying to release their inner creativity!